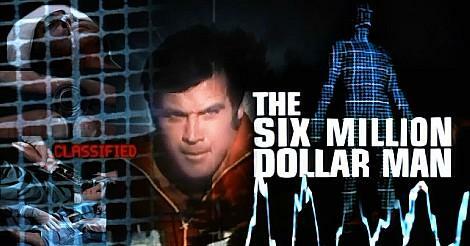 Firstly, the video above features the opening and closing titles from the TV show. 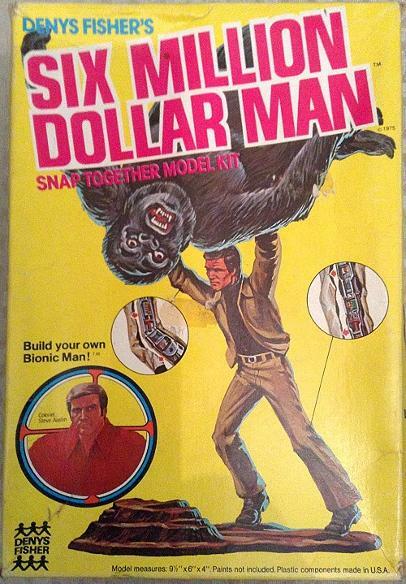 For this post, I'm going to take a look at the range of action figures and annuals that were produced during the 1970s. 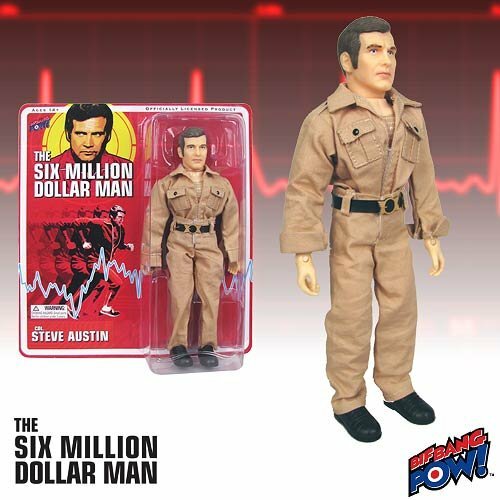 The Colonel Steve Austin Doll launched in 1975, and included an engine block that he could lift to show off his bionic arm's strength. 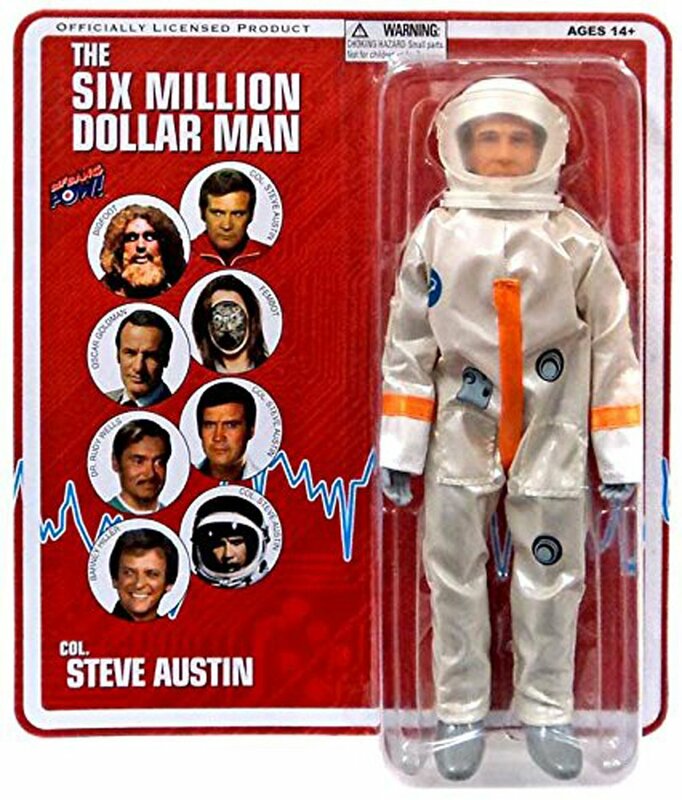 Talking of his arm, you could also remove two modules and roll back the skin to reveal the bionic "workings" on the original version of the doll - I'm very pleased that I was lucky enough to have received this first action figure. 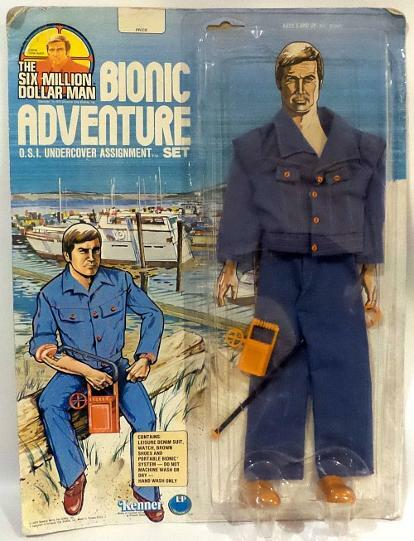 Due to health and safety worries, the next doll had a removable arm rather than the small modules. 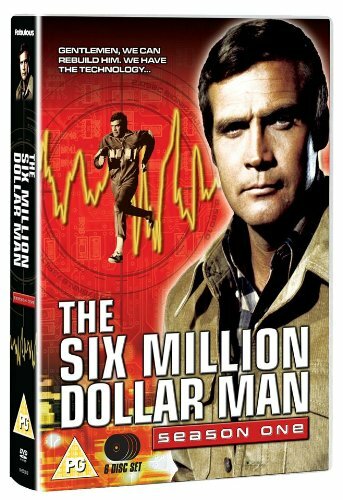 On the third version, Steve Austin had a bionic grip and you could press a button on his wrist to make him clamp an object. 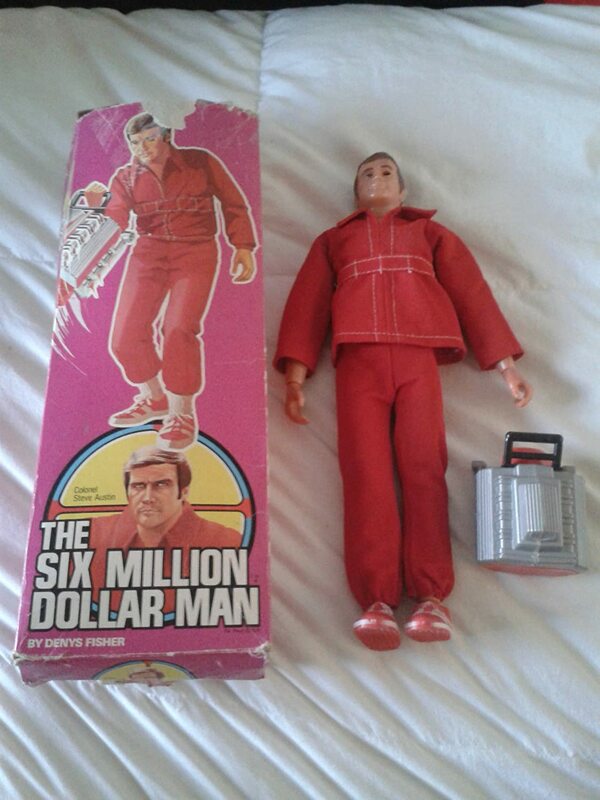 What I remember most about my doll was his red NASA jumpsuit and removable red trainers. Also, the bionic eye which was like a mini telescope went down a storm in the school playground! 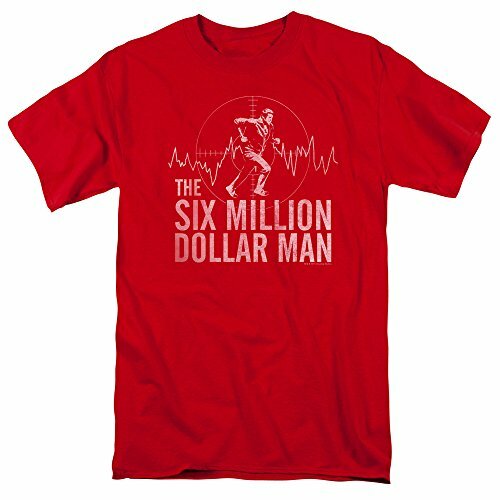 Is it me or does he look a bit camp? 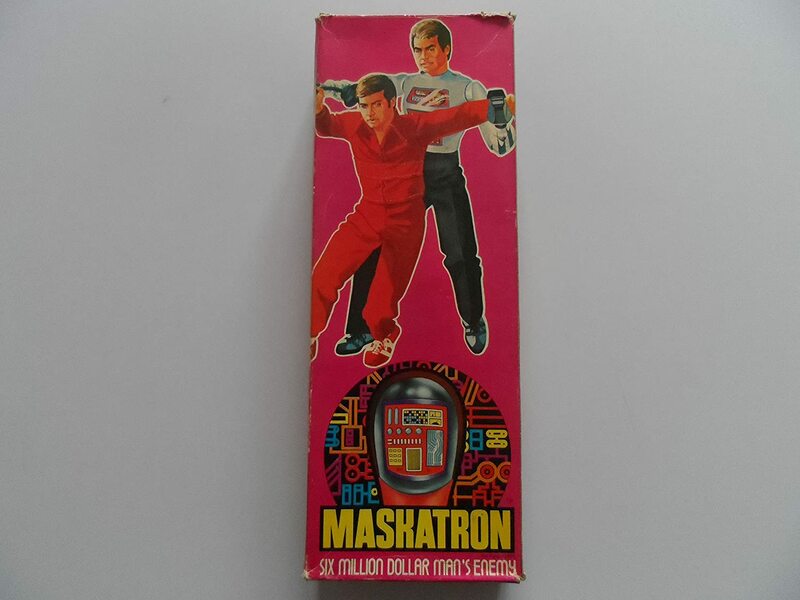 Of course, the bionic man had to have an enemy to fight, and this came in the form of Maskatron and Fembot. 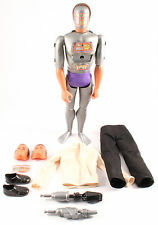 Launched in 1976 by Kenner, Maskatron had robotic parts and interchangeable faces, one of which looked like Steve Austin! 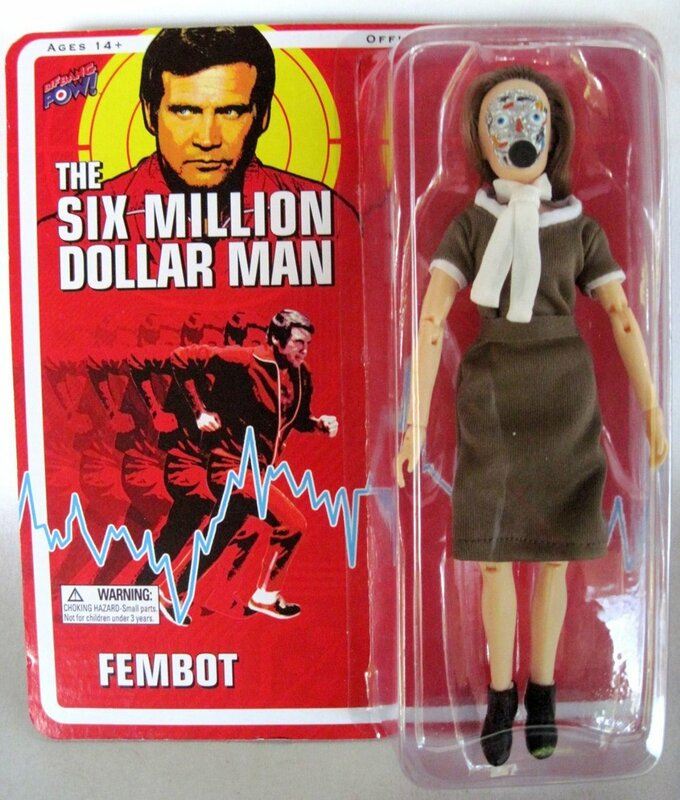 This Fembot Doll produced had a similar concept to Maskatron, with removable masks that could be used as a disguise. 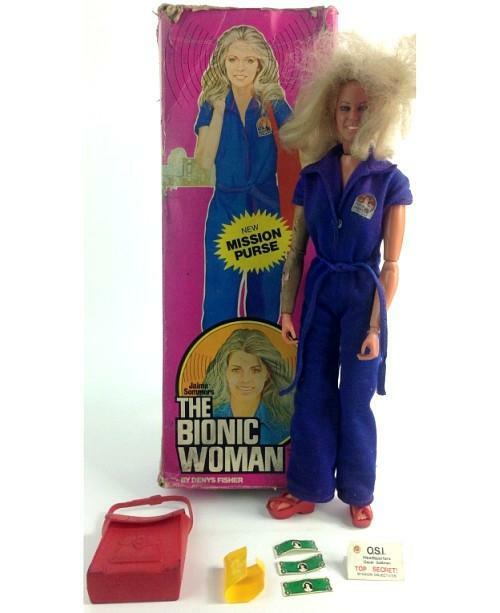 One of the masks featured the face of Jaime Sommers the bionic woman who was played by Kindsay Wagner in the spin-off TV series. 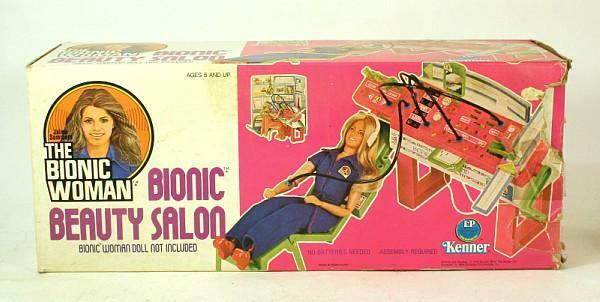 Bionic Beauty Salon by Kenner (US). 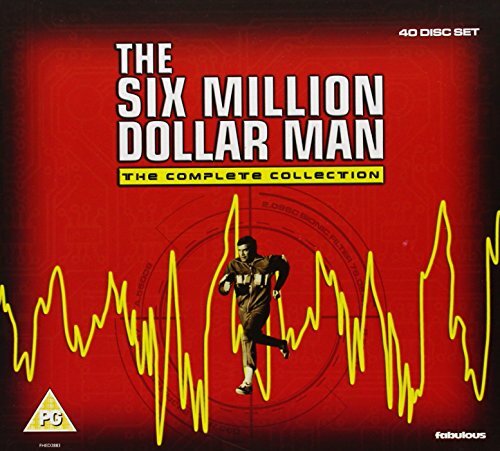 I'm not sure if this was everdistributed by Denys Fisher in the UK. 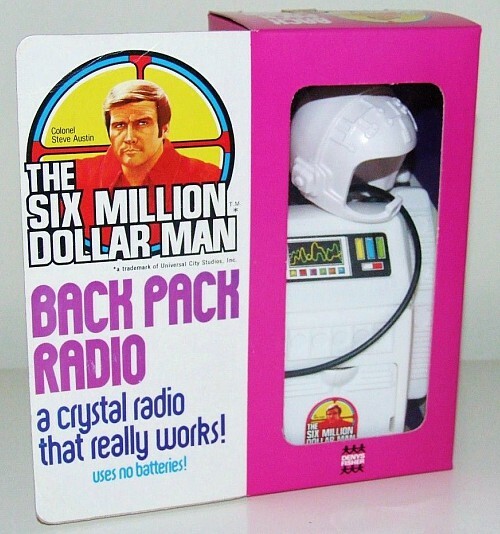 The back pack radio produced by Denys Fisher in 1973 featured a working crystal radio. 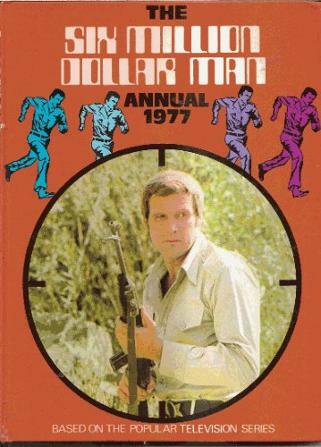 Four hard back annuals were published during the late 70s, and each one was in full colour. 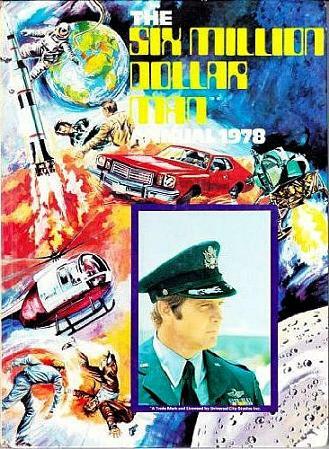 They featured comic strips, short stories, photos and the odd serious article about science/space. 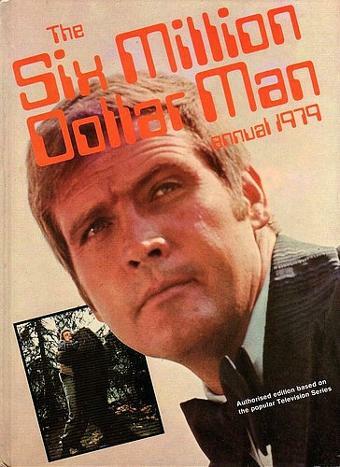 I remember that in the 1977 annual there was a biography of Steve Austin. 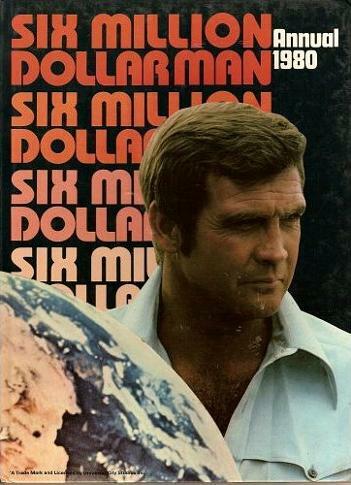 If you received one or more of these books and no longer have them, then I hope these images of the front covers will bring back some memories for you.